Kaprun, part of the Zell am See - Kaprun ski area in Austria, is one of the most exciting areas for skiing in Europe and offers a wide variety of terrain to suit visitors of all ability levels. The resort is based at the bottom of the Kitzsteinhorn Glacier, boasting an ice camp, three snow parks and the largest super-pipe in the country, alongside an excellent range of facilities and runs. The atmosphere across Kaprun is truly remarkable, too, with amazing customer service combining with a laid-back vibe that provides the perfect escape from the hustle and bustle of the UK. Thanks to the resort’s phenomenal transport system, it is easy for visitors to travel around the area, allowing them to work their way up the steady learning curve and develop their skills. For the ultimate ski holiday, visitors need to make sure their resort has a good balance of fantastic facilities and excellent terrain. Kaprun delivers both of these in style, with extraordinary hotels and chalets alongside world class runs. Originally a mining village, the area has blossomed into a tourism hub for ski fans and benefits from the local hydro-electric power industry. 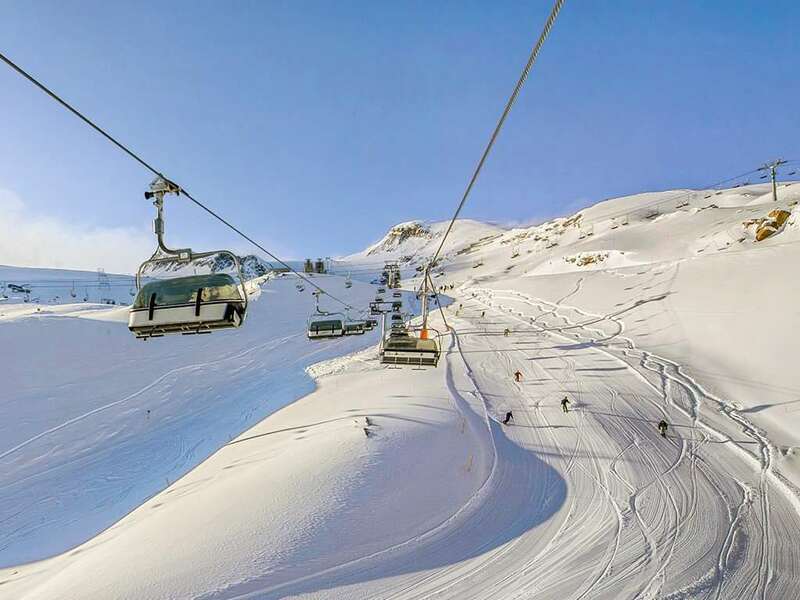 With the Kitzsteinhorn glacier nearby, it is easy for holidaymakers to access excellent terrain with fantastic snow coverage, while connections are available to nearby ski area Zell Am See. Unlike other resorts in the region, Kaprun has smaller crowds and a more peaceful atmosphere, making it the perfect place to relax with magnificent views and wonderful cuisine. As Kaprun is well suited for both skiers and snowboarders, there is some fantastic terrain to explore across Kaprun and Zell am See. The Scmittenhohe area offers 77km of runs, alongside 41km of slopes in Kitzsteinhorn. For younger visitors, the Maiskogel area provides incredible runs, while there are plenty of off-piste routes for experienced holidaymakers looking for more of a challenge. The ski area is positioned between the altitudes of 1,978m and 3,029m, ensuring magnificent views of the local area along with fantastic winter weather and some breathtaking free ride areas. Despite Kaprun’s excellent selection of runs, the area does not feel crowded, making it easy for visitors to explore the region and make the most of their time in one of Austria’s most idyllic areas. The ski area across Kaprun benefits from excellent runs and amazing snow coverage, with the season running from November to April. 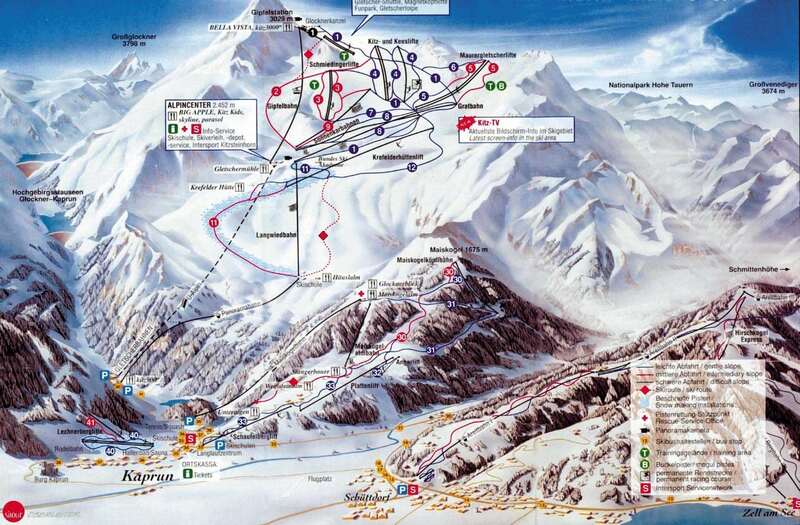 Skiing and snowboarding operates on the Kitzsteinhorn glacier for 10 months of the year due to the high altitude. Visitors can look forward to extraordinary terrain that is well-maintained by officials to ensure a smooth surface that is perfect for skiers of all different ability levels. Thanks to the resort’s excellent transport system, you can easily take advantage of all of the region’s runs. While the size of Kaprun can be seen as overwhelming, it is easy to explore and there is a great learning curve to allow holidaymakers to develop their skills at their own pace. Kaprun benefits from a fantastic après ski scene, offering a selection of amazing bars and restaurants that provide the perfect respite from hours on the slopes. 42 The Rockbar is one of the most popular haunts in the area, offering live music and a fantastic selection of drinks, while Baumbar-Reiteralm serves up delicious dishes in a wonderfully warm atmosphere. For something a little livelier, Cabrio and Crazy Daisy both provide amazing nightlife and music, allowing visitors to let their hair down and unwind in a majestic winter environment. What’s more, if you’re still interested in exploring the landscape after your day on the slopes, there are some excellent options including tobogganing, hiking and sleigh rides. The closest airport to Kaprun is Salzburg, which is around 80km away by car and Munich is around 200km away. Kaprun is an extremely beautiful village which has retained its charm. If you are looking to party until you drop then this may not be the place for you. However, if you want guaranteed snow it’s the place for you, with the Kitzsteinhorn glacier a free 10 minute bus ride away. I even skied it in August. The Slopes in the village are ideal for skiers of all abilities. What could be better than ending your day in the lederhosen bar with a hot glass of mulled wine? If you’ve never skied before, the Hotel Taurenhoff backs onto the baby slopes and the facilities there are top notch. To sum up stop looking for other ski resorts and go here! This was the best holiday I've had - Great park, excellent off piste, cracking weather and I would say it was the best food I've ever had on any holiday (all my meals were at the mittereger) The hotel overall is excellent value, the apres isnt that good as its small town but i dont go for that anyway, if you love to ski in ski out on your holiday then this isnt for you, but as I say I really like this resort. You can ski the glacier (10-15 by bus) Zell am see (15 mins by bus) Or walk to the local hill Maiskogel that has a small park and some nice tree runs that will entertain you for at least half a day or a whole day if there is powder. When the snow is suffering at zell / salbaach / hinterglem get to the glacier early or there is big queues!